Recorded on Feb. 20, 1983 at Swan studio, Buizingen (B). Released in 1983. LP (Jazz Cats 6983 009). Reissued in 1993 on CD (B Sharp CDS 094). Two top Belgian jazz musicians meet a great US rhythm section : in these years, Curtis Lundy and Kenny Washington were playing a.o. with Betty Carter and Johnny Griffin. 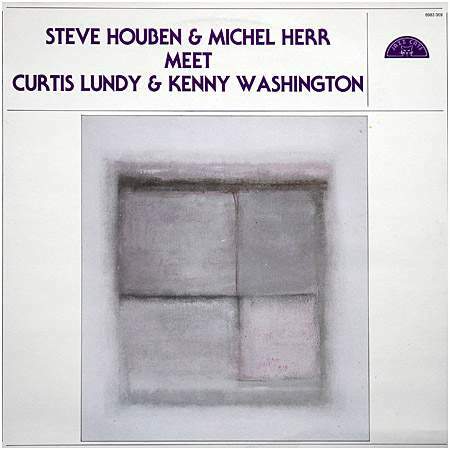 In this exciting company, Steve Houben and Michel Herr play at their best. Recorded in one night ! Deux figures de proue du jazz moderne en Belgique rencontrent une des sections rythmiques américaines les plus en vue du moment (à l'époque, Curtis Lundy et Kenny Washington accompagnaient la chanteuse Betty Carter et le saxophoniste Johnny Griffin). Une session explosive enregistrée en une seule nuit !